Crataegus phaenopyrum.Steven Baskauf.© 2014 CC-BY-NC-SA.Bioimages-www.cas.vanderbilt.edu.New England Wild Flower Society.org.gobotany.newenglandwild.org.jpg (Accessed 7/2014). 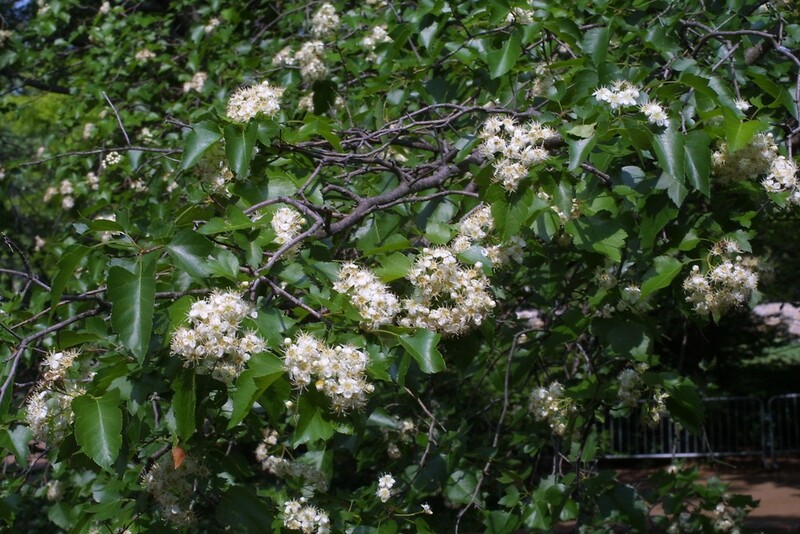 Crataegus phaenopyrum is a small tree to 12 m, stems smooth, thorns to 7 cm long, older stems brown, new growth green. Leaves alternate, broadly triangular in outline, to 6 cm long, 5 cm wide, sharply 3-5 lobed (like small maple leaves), margin coarsely toothed, shiny dark green above, paler below, tip pointed, base truncate to slightly lobed veins extending into sinuses as well as to lobe tips, stalk 1-2 cm, no glands. Flowers white about 1 cm wide , anthers pink, sepals short, triangular, tips pointed; Inflorescence branched, many-flowered; June. 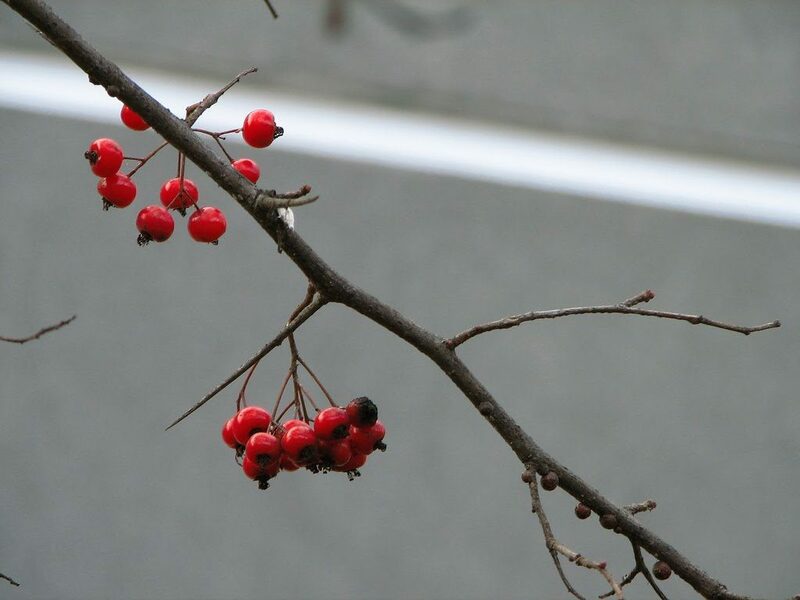 Crataegus phaenopyrum fruit and thorn. Ih2treeid.blogspot.com (Accessed 2/2018). Fruit fleshy, bright red, 0.4-0.5 cm wide, sepals usually deciduous leaving a circular scar. Habitat: Generally in overgrown horticultural areas.